10-Digit Talking Calculator-Earphone-Talking Alarm - This great low vision device features a talking calculator and talking alarm clock for the blind and the visually impaired. 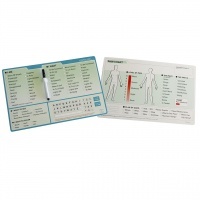 This talking calculator includes all digits and functions entered, as well as calculations, and are read aloud to you to ensure accuracy. This low vision aid features time announcement at the touch of a button plus audible alarm. 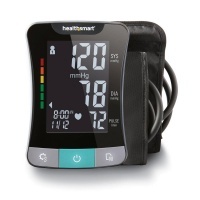 Voice volume is adjustable: choose high or low, or turn sound off. Oversized 5-1/2-in. x 1-1/8-in. LCD Display for easy viewing. 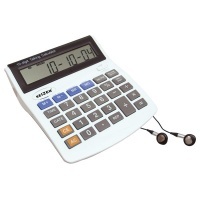 The talking calculator is equipped with an earphone jack (earphone included) for privacy. Note: Talking function is for calculator and clock/time announcement only, not the calendar. The date is displayed on the LCD. Uses AA Batteries (not included.) Manufacturer's 90-Day Warranty. Do you have difficulty telling the time on a traditional analog or digital watch? 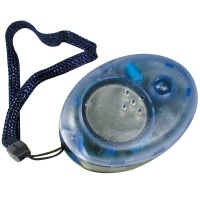 Now finding out the current time is as simple as pressing a button, or feeling tactile markings! 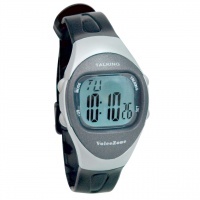 The Reizen Braille and Talking Watch announces the time on demand at the touch of a button in a clear male voice. 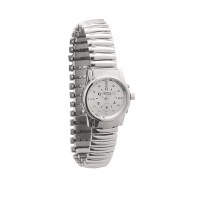 Plus, it offers the added convenience of raised tactile markings that allow you to discreetly tell the time by touch. This is especially helpful for situations where an audible time report may be a distraction or draw unwanted attention. 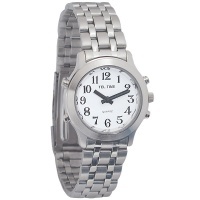 The only Classic Ladies Bi-Color One Button Quartz Talking Watch that has time announcement only without alarm. Clear male voice. Bi-Color Case. Matte Finish w/White Dial and 1-12 Black Numbers. Bi-color Expansion Band. Powered by one CR2016 lithium battery (included). Dial size 1-1/4" Diameter. The only Classic Ladies Bi-Color One Button Quartz Talking Watch that has time announcement only without alarm with clear male voice. Bi-Color Case Matte Finish w/White Dial and 1-12 Black Numbers. Black Leather Band w/Silver Buckle. Powered by 2 lithium batteries (included). Dial size 1-1/4" Diameter.